Graphics, available in many different perspectives, help the visual designers choose the most relevant for their course designs. Using graphics with various perspectives creates a sense of freshness, when learners go to and fro between screens. 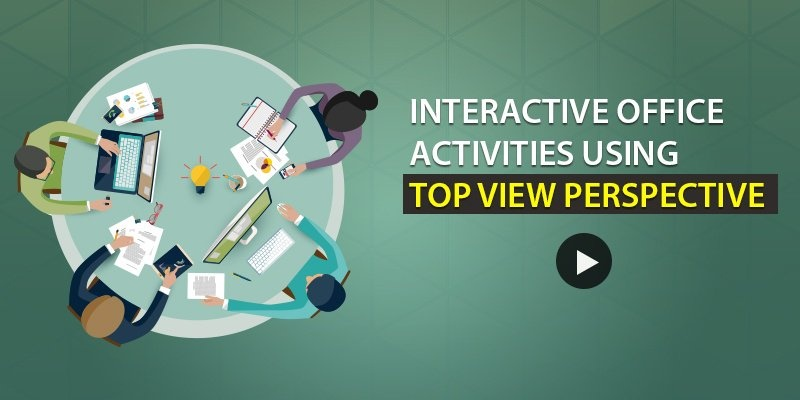 This week’s e-learning challenge is to build an interaction with top view office spaces. Overhead office views will make learners better understand every detail of the department or team and they also help build better branching scenarios. We’ve build an interaction using an isometric top view graphic where learner has to decorate his/her friend’s workspace to give him/her a pleasant birthday surprise.